As a child, I always enjoyed going to the mall with my mom. Now let me immediately admit there were selfish motivations at play. Yes, I held a little bit of hope that she might buy me something (never a guarantee but it happened often enough to make the trip worthwhile). And yes, it provided the opportunity to avoid staying home with my dad who enjoyed working far more than shopping. I just liked having the chance to get out of the house and go someplace fun. One of the greatest places at the mall isn’t a store or a restaurant or even the benches reserved for bored husbands and boyfriends. It’s the escalator. Now the older I get, the more I appreciate the up escalator doing the work for me. But as a kid, the down escalator was far more fun. Picture this: a child standing at the bottom of the escalator waiting for it to be empty (and for no store employees or parents to be watching) and suddenly leaping onto the stairs running feverishly up the down escalator trying to reach the top. I’d like to regale you with stories of successfully reaching the top floor, jumping up and down like Rocky with the music playing in the background. Unfortunately, the attempt usually left me only scaling about three to four steps before I gave up or sheepishly rode back down to the sound of an adult giving me a scolding. 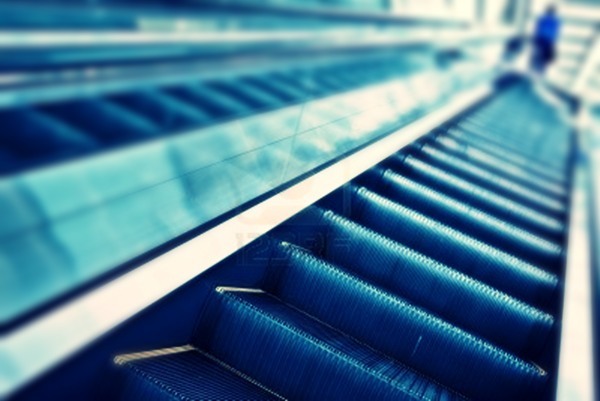 The escalator never stops, so if you pause, even for a moment, you’re going backwards. This is called regression and it is a simple truth that applies to so many things in life. Runners who stop running lose their endurance. Weightlifters who are unable to lift for a time lose strength. Athletes aren’t the only ones who face this. Couples who stop communicating are more susceptible to discord. It’s doesn’t even stop with people. A new car rolling off the dealer’s lot today is beginning a backsliding trek in its performance that will eventually land it in a scrap pile. Regression also occurs in learning. Students who stop reading or computing over the summer will lose ground academically in the fall. Knowing this to be true, some parents will take steps to keep their children academically engaged to help prevent the slide while many teachers plan on several weeks of content review to start the new school year. It’s frustrating to see learners going in reverse, but imagine the frustration of regressing in an area far more important than academics. For too many of us when it comes to living out our faith, we have been going backward since we were confirmed. Maybe we attend church and Bible study regularly during the school year, but what about June, July & August? Pastor’s sermon from a few weeks ago may provide the perfect perspective for the conversation you need to have with that co-worker, but who can remember all of those details? Building a stronger knowledge of the Scriptures and developing a greater level of comfort in living out our faith will not earn us salvation; Jesus did all of that for us. What it can do is help us to better understand God’s word, provide hope as we rely upon it during the difficult times of our lives, and prepare us to be ready to share it so others can experience what you’ve already come to know; the saving love of God. So no matter how many steps we must climb, we can keep going with the assurance that God will give us a strength that will not be exhausted. But listen to your mom and don’t play on the escalators! This entry was posted in Devotional and tagged 2 Peter 1:5-8, A Mile in My Schu's, An Uphill Climb, Bible, Bible Study, Blessings, Children, Choices, Christian Life, Christianity, Day 1 of 1, Decisions, Devotion, Devotional, Devotionals, devotions, Endurance, Escalator, Faith, Religion, Richard Schumacher. Bookmark the permalink.